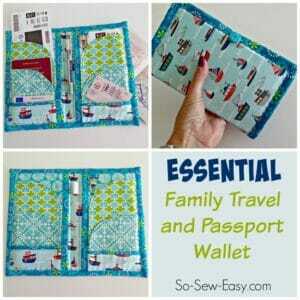 With summer coming to a close and the popular travelling holidays of Thanksgiving and Christmas now on the horizon, we thought it would be timely to compile of list of travel sewing projects that will make your upcoming journeys a bit more enjoyable. I did a lot of travelling this summer and how I wished I had had many of these helpful items with me at the time. 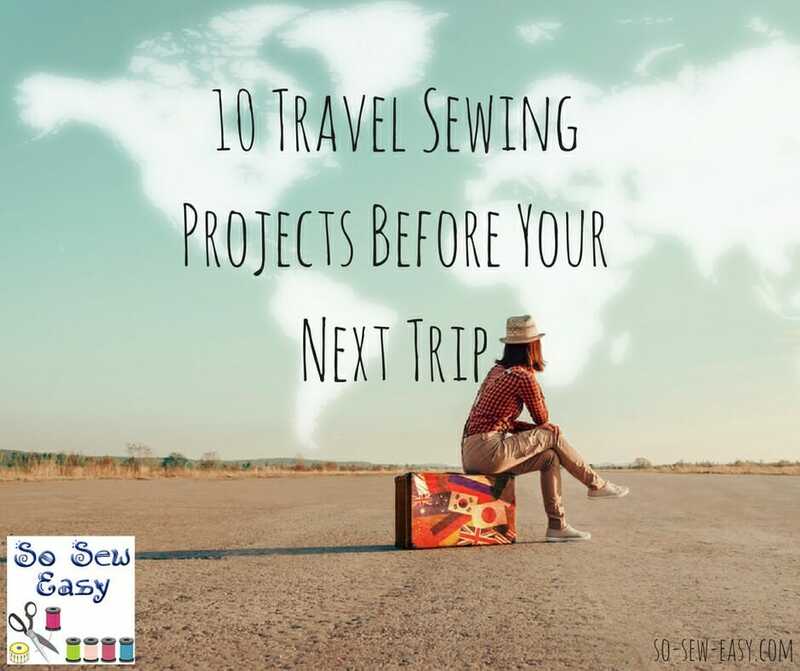 When I got back, I put this list of travel sewing projects together thinking of all the things I wish I had had during our trip. Travel is the time when you need lot of bags and pouches for storing and organising those itsy bitsy items. For long distance travel, you might even need few items to make your journey as comfortable as possible. The good news is that you need not have to buy all the items if you have the time and patience to try few sewing projects. If you are well planned and organized, then you can undertake these 10 sewing projects well ahead of time and be ready for your next adventure! This is an ideal project for beginners. If you are travelling across continents and would like to catch up on some sleep, this mask would be the right option. A very simple project, all you need is a piece of fabric, elastic and sewing supplies. One of my greatest worries while travelling overseas is the safety of my passport and other travel documents. Even though I make sure that it is kept safely inside my tote bag, there are times, especially when I travel alone with my kids, when I feel the need to have a storage just for my travel documents. Yet another essential while travelling, this jewelry travel case is just right for storing all your accessories like earring, rings, bracelets and other small items. The small zipper pocket provided at the end of the case provides additional storage option. This is ideal for storing cosmetics while travelling. 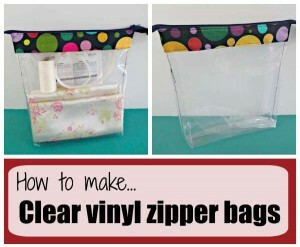 Since the zipper bag is transparent, it is easy to locate items stored inside. Also helpful when going through airport security. 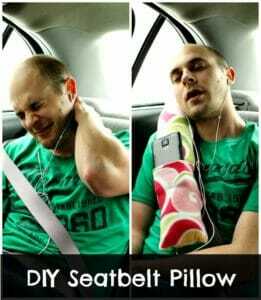 If you undertake road trips regularly like me, then the seat belt neck pillow might come handy. This pillow takes away the strain of the seat belt and is ideal for both kids and adults. You can even attach a small pocket to the pillow for your mobile phone. If you're travelling with small children, goodness knows you need to keep them busy. Sometimes restaurants and airlines provide crayons and coloring books to help keep their little guest busy, but sometimes they don't. If you want to rest up and enjoy a peaceful meal when it's time to stop driving or a flight, you need to be prepared with your own crayons. 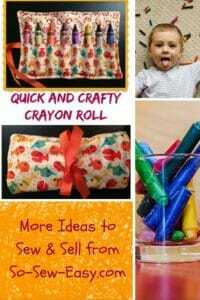 Here's a great way to take a set of crayons along with you on the trip. 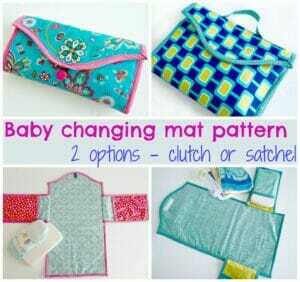 For all those moms travelling with their tiny tots, the changing mat is a must have accessory. Here the mat is designed in two patterns – satchel style with handle and clutch style. Both the patterns are travel friendly and will add to your comfort. When you travel, you often take those little bottles of shampoo, conditioner, toothpaste, etc. How to keep it all organized so you can find everything? How do you pack it up quickly and easily making sure everything stays neat and tidy? Well, here's your answer with a mesh shower caddy that can not only hold all those small packages, but it can go right in the shower with you. It dry quickly so you can pack it and keeps everything visible and organized. If you are a sewing fanatic like me who would like to sew even on the top of alps, then you would definitely require a sewing caddy for organising all those itsy bitsy sewing supplies. 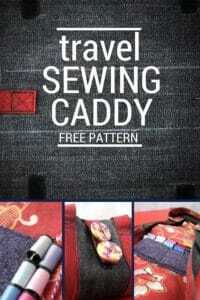 Irene provides us with a very interesting pattern for a travel sewing caddy. 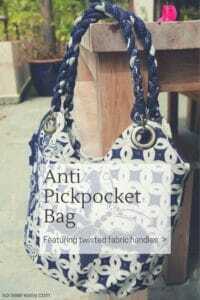 Keep your valuables safe and sound with this attract and functional purse design. The bag features internal zippered pockets and a top zipper that closes completely to prevent pickpocketing of your valuables. The project has a full tutorial and video sewalong. I hope these travel sewing projects makes your packing and travel a more comfortable experience. Bon voyage! Thanks for all the great tutorials and patterns! Really appreciate it! How about a pattern for one of the popular “packing cubes”? Keep up the good work! I live in SAmerica where inflation has us making many things we used to purchase. Thank you for all your DIY ideas. I took the zippered bag to heart as I made a trip out west this summer. We flew to the west and then were in a rental car for 12 days. I took one large bag and my carry-on. I never took the large bag into the hotels. I simply switched my one-day-at-a-time zippered bag with fresh clothing for one day quickly at the trunk of the car into the carry-on. Nightly needs stayed in the carry-on. I always keep a 2-yard piece of fabric in my car that matches the car interior that covers anything left in the SUV. My bags usually have a cotton 2 inch strip at the zipper and the rest are mosquito mesh for visibility. 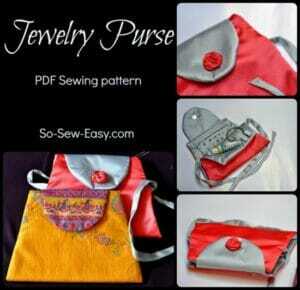 I use 12 or 14-inch zippers and the bags are 12 or 14 inch squares. I like the travel document wallet but I would add a neck strap to it so it can fit under your clothes. I like having all my documents handy but I usually have my hands full. Hi Jennifer. Terrific idea. Thanks for the comment. Heyyy! You do have some southern hemisphere followers who are coming out of winter you know! But never mind, I’m just heading off on holiday and as I find the airline sleep masks are pretty useless (too small and made with sweaty synthetic fabrics) this has prompted me to make a big cotton one for my flight, so many thanks. Hi Helen, you’re certainly right that we wrote that with the northern hemisphere in mind. Apologies to the Antipodeans and South Americans out there. You’re right, the airplane-supplied masks are terrible. Better to make your own. Happy travels.